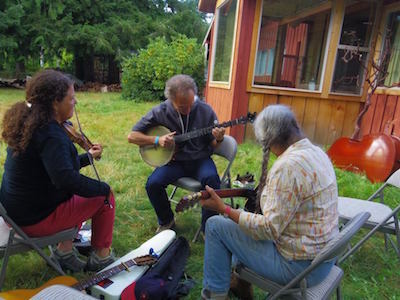 The Zigzag Old Time Music Campout on Labor Day weekend, August 31 – September 3, 2018! Bubbaville is proud to sponsor the visiting featured artists this year: Julie Shepherd-Powell (banjo, flatfoot dance) and Todd Meade (fiddle, banjo, bass). They will be teaching SW Virginia tunes. We’ll have a local instructors Leela Grace, Steph Noll and Kate O’brien with us to offer workshops as well, including kid’s fiddle and family activities. These fabulously talented folks will be offering several workshops over the weekend, and they’ll be around to jam and to play in a Sunday night concert. Check out the 2018 Workshop Schedule! 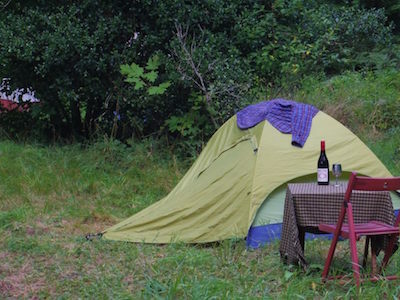 Early Camping Special: come as early as the Sunday before, August 26, for $15/night! Everyone is welcome, whether you play an instrument, sing, love to listen, or just want to relax in a beautiful place, surrounded by mountains and music. Explore the trails and organic gardens. 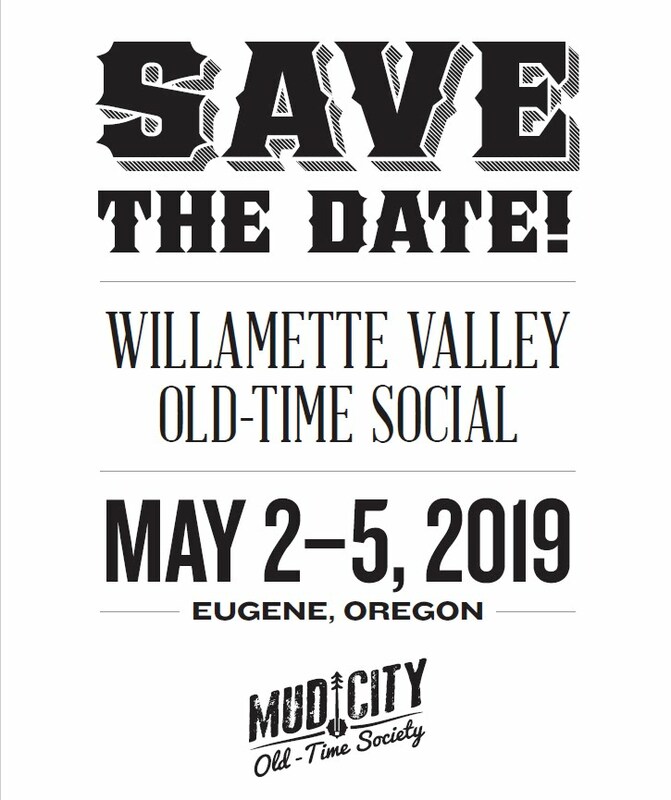 Email us to reserve your spot for a van/trailer or contact us with question. Get your tickets at TicketTomato. Tickets, including day passes, are also available at the gate. Zigzag Mountain Farm will offer breakfasts and dinners . The cost will be $6 for breakfast, $11 for dinner, or $45 for all 6 meals. You can purchase meal tickets at the farm. You are welcome to bring your own food if you like! Stay tuned for the workshop schedule, which we will post soon! Julie Shepherd-Powell is an award-winning flatfoot dancer and clawhammer style banjo player from North Carolina who has made Appalachian music and dance a lifelong study. Julie has taught old-time banjo and flatfooting all across the Southern Appalachian Mountains, including at the Cowan Creek Mountain Music School, the Mountain Music School in Big Stone Gap, Virginia, after school music programs in Kentucky and Virginia, and Warren Wilson College in western North Carolina. In addition to teaching banjo and flatfooting, she has called traditional mountain style square dances anywhere from Knoxville to New York. She has performed with numerous stringbands, including Kentucky-based bands Rich and the Po Folks and the Pine Mountain Railsplitters. Together with Todd Meade, she performs the hard-driving, dance music of Southwest Virginia in the stringband the Four State Ramblers, making the fiddlers’ convention circuit every summer. 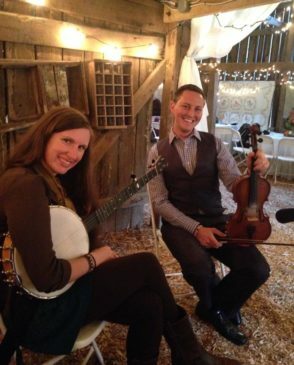 Some of Julie’s accolades include 2nd place flatfoot dance at the Grayson County Fiddlers Convention in 2017, and 6th place old time band (with the Four State Ramblers) in 2016 at the prestigious Galax Fiddlers Convention. 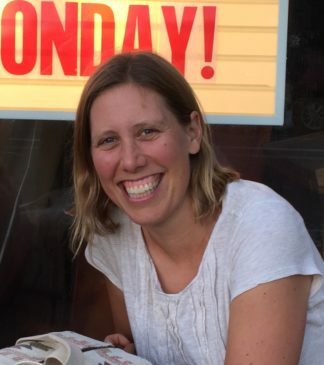 In August 2018, Julie will begin an assistant professorship at Appalachian State University, teaching Appalachian Studies and Appalachian music to undergraduate and graduate students. Todd Meade is an expert in old-time and bluegrass fiddle music, carrying on the musical heritage of Scott County, the Big Moccasin area, of southwest Virginia. At an early age he was engulfed in the old time music traditions of his family. His great Grandfather, “Uncle” Charlie Osborne, was a local music living to the age of 101 playing almost 90 years. See his great Grandfather playing sparked Todd’s own musical journey at the age of 8 years old. Now with 25 years of experience Todd has performed all over the United States as well we Internationally. Starting his own band in high school, Twin Springs Bluegrass Band, that won 3rd place at the Society for the Preservation of Bluegrass Music in America (SPBGMA) band competition. He also toured with Dr. Ralph Stanley and His Clinch Mountain Boys playing fiddle (2003-2004) and Lorraine Jordan and Carolina Road playing bass (2005-2008). He performed at the 2008 Society for the Preservation of Bluegrass Music in America (SPBGMA) 25th Annual National Convention, where he was nominated for Bass Fiddle Performer of the Year. During the past 10 years Todd has been focusing more on teaching Old Time Fiddle and Clawhammer Banjo Lessons. Todd Meade has served as an adjunct music instructor at Mountain Empire Community College, where he is now involved in organizing the Mountain Music School, and the Home Craft Days festival and teaching old-time fiddle, banjo and bass. He has taught at numerous music camps including: Cowan Creek Mountain Music School and Mountain Music School, that he helped start 14 years ago. Leela Grace is a nationally-known singer, songwriter, multi-instrumentalist, recording artist, percussive dancer and teacher of music and dance originally from Missouri. 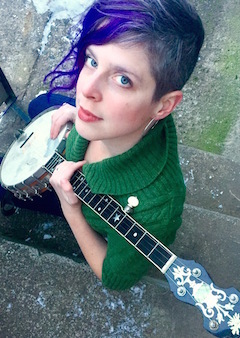 Since moving to Portland, Oregon in 2007, she has built a tremendous following, teaching popular banjo, by-ear harmony singing, and Appalachian clogging classes. In 2014, Leela embarked on the new adventure of motherhood when her daughter was born. In late 2015, Leela and her family moved to northern Vermont following a job opportunity for her partner, Seth. 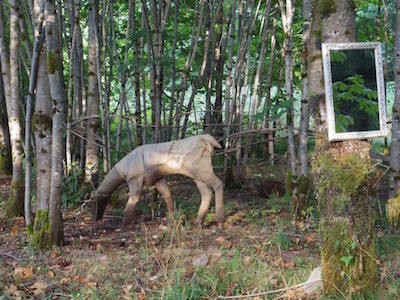 After many “adventures” in the snowy northern lands of the east, she returned to the Pacific Northwest in the fall of 2016, inspired and ready to resume teaching and performing in her home community. ​Leela has performed and taught nationally for over 25 years, first with her family, and now as a solo musician and with her sister Ellie Grace (as Leela and Ellie Grace). She has earned critical and audience praise for the “great depth and insight” of her original songs, which have been featured on NPR’s All Songs Considered and chosen for inclusion on a “Best of Portland Acoustic Music” compilation CD. She picked up the banjo as a young teen and has developed her own exceptional clawhammer banjo style, marked by clear, bright melodies and powerful rhythm. Leela is also recognized as a dynamic percussive dancer whose style draws most strongly from Appalachian clogging, but also incorporates Irish step dance, rhythm tap, body percussion, and much more. Steph Noll is an old-time musician, dance caller, and mama to two, singing and dancing kiddos. 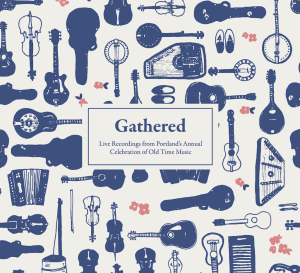 She loves calling family dances and loves the Pacific Northwest old time music scene for its many opportunities to make music with friends of all ages. Steph is offering Family Sing and Dance Along sessions on Saturday and Sunday. Kate O’Brien is a classically trained violinist with 10 years teaching experience, teaching from the classical perspective, utilizing many aspects of the Suzuki Method as well as her training in the Western Classical school. She has played violin and sung in various rock/pop and folk bands in Portland, OR and also plays and sings in a band called Calico Rose. Recently, she is enjoying time spent writing her own music. She believes that everyone and anyone can learn to play an instrument. 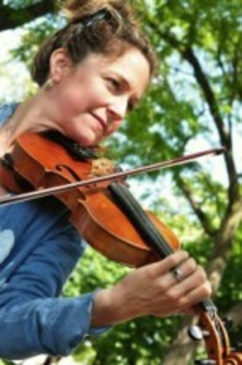 She plays and teaches Old-Time fiddle and improvisation techniques. Kate will lead the youth fiddle workshops and jams. The Zigzag Workshop Faculty and scholarships are sponsored by Bubbaville through the The Bubba Fund – Honoring the spirit of Bill Martin.